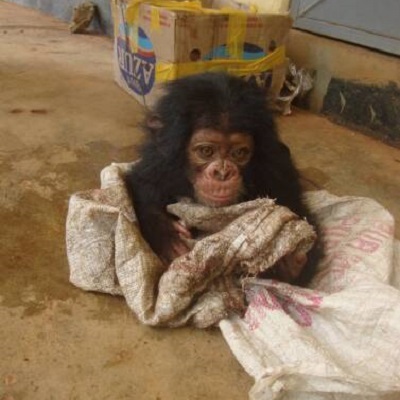 The illegal bushmeat trade threatens the very existence of the planet’s last great apes as well as many other species. In West and Central Africa, gorillas and chimpanzees are hunted for their meat and traumatised infant orphans are being sold as exotic pets. 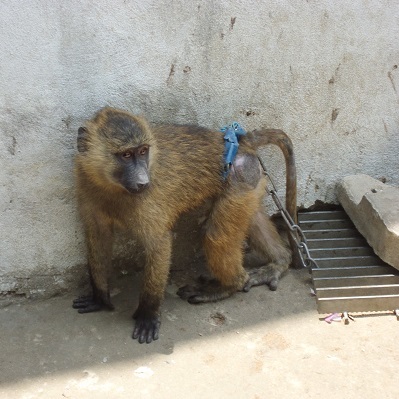 Born Free works with partner organisations to investigate, expose and campaign against the illegal trade in primates. Although much of the bushmeat trade serves a domestic market, there is also an illegal and international trade, serving African expat communities living as far afield as London, Paris, Brussels and New York. Body parts are also used in traditional medicine and fetishes and ‘curios’. Larger-bodied species such as primates and ungulates are preferred but rodents are also consumed. Many species are not threatened with extinction, however, for slower- reproducing species such as primates, the off-take is not sustainable and as a result, hunting is a major threat. In recent decades the trade has escalated as a consequence of rapidly growing human populations, firearms replacing traditional hunting methods, the opening-up and exploitation of forests and the creation of infrastructure like roads that assist the trade. Due to over-harvesting in the recent past, some countries have seen their wildlife crash and as a result bushmeat has become scarce. An additional threat is the trade in great apes, as well as other primates, as exotic pets. 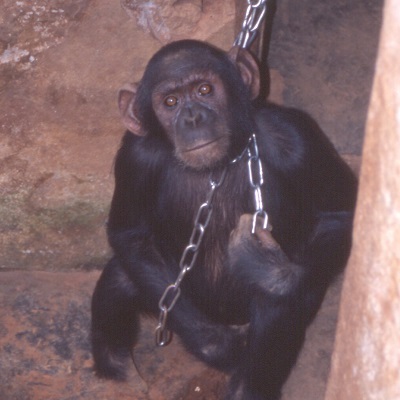 In West and Central Africa, infant apes are kept as pets but this is often as a secondary consequence of the bushmeat trade. Recently, however, Guinea was sanctioned by CITES for the illegal export of chimpanzees from the wild to animal parks and zoos in China, and it is thought that illegal trade could be much larger than previously supposed. To capture an infant, its mother and other individuals are killed and it has been estimated that to capture one chimpanzee alive costs the lives of nine others. In effect, the removal of every infant chimpanzee from the wild removes ten individuals in total. The traumatised orphans are often malnourished, vulnerable to disease and suffer abuse and isolation. Only the lucky ones end up in sanctuaries like Ngamba Island or Limbe but demand for sanctuary spaces sadly cannot keep up with the number of orphans in need of care.